Technology Solutions for your Business. 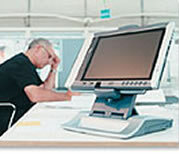 JMJ Systems, Inc. is a full service computer & network company that specializes in providing reliable and cost effective IT support to businesses in the greater Birmingham and North Alabama area. We offer Remote & On-site IT support so you can quickly get back to work. We believe the client relationship must be based on a foundation of trust, focused on the client's technology needs and service expectations. JMJ is fully committed to providing you with a dedicated IT support team that delivers results. Let us worry about your computer problems. them to many of our customers. people to have on your team. Copyright © 2011 JMJ Systems, Inc. All Rights Reserved.